When it comes to fashion, I'm not a particularly trendy person. I like to invest in quality pieces that are (mostly) timeless and classic. When it comes to jewelry, however, I like it cheap and chic. I know that I've probably reached the age where I should be 'investing' in nicer pieces, but I live in constant fear of losing or damaging my jewelry. So, for the most part I stick to things that I could stand to lose or throw out if/when I become tired of them. Cheap jewelry is also a really fun way to spice up an otherwise boring outfit! 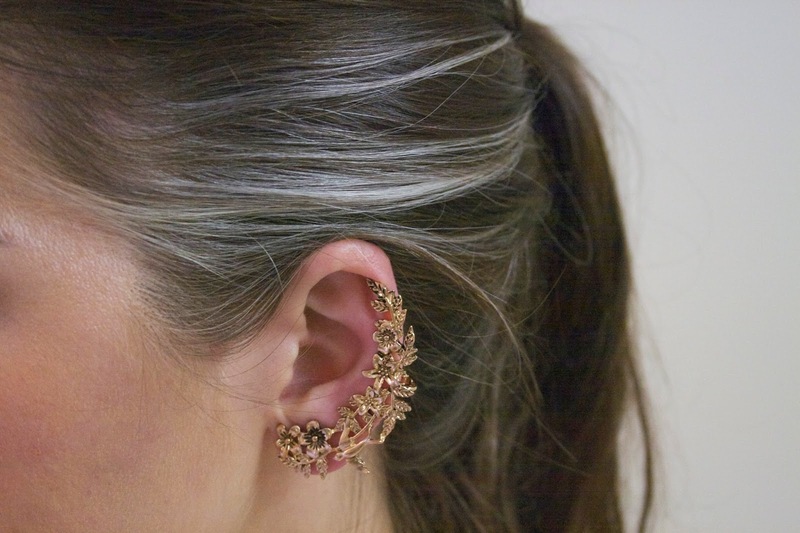 Enter the ear cuff. 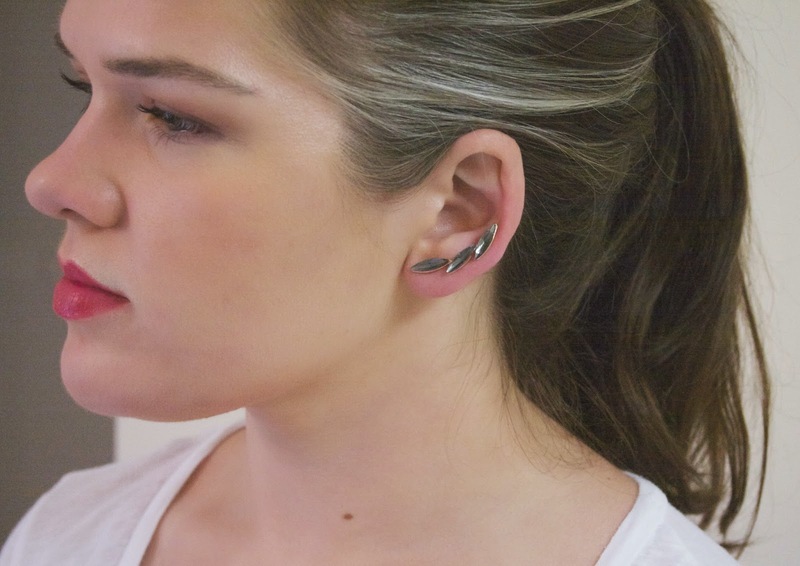 I first noticed ear cuffs becoming more popular earlier this year. Some are outrageous, while others (like essentially everything by Jacqui Aiche) are super glam. I've had the best luck finding ones I like at Forever21. They seem to carry some online, but I've found all four pairs that I own in store. 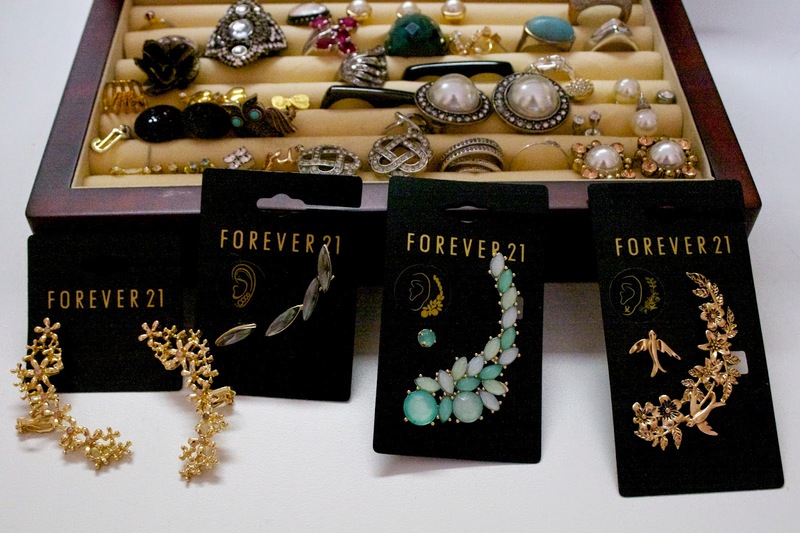 Because they are Forever21, they won't last forever. But none of them cost more than $4, so I'm ok with that! The cuff that started it all! For the most part, all of these cuffs operate on the same premise. They have a post that goes through your normal ear piercing. Then, higher up the ear, there is a clip that helps it stay attached. I don't find these uncomfortable at all--they are lightweight and feel pretty similar to wearing a clip-on earring. And with the exception of one pair, all of these come with a companion stud earring for the opposite lobe. 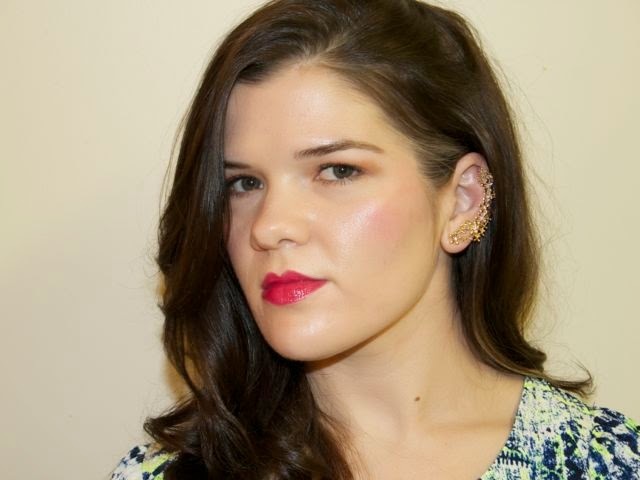 I generally keep my other jewelry to a minimum when I'm wearing an ear cuff. I also try to style my hair to accentuate it (if an ear cuff goes unseen, did it really happen? ), either by putting my hair in a ponytail, a side braid, or just pinning my hair behind my ear. 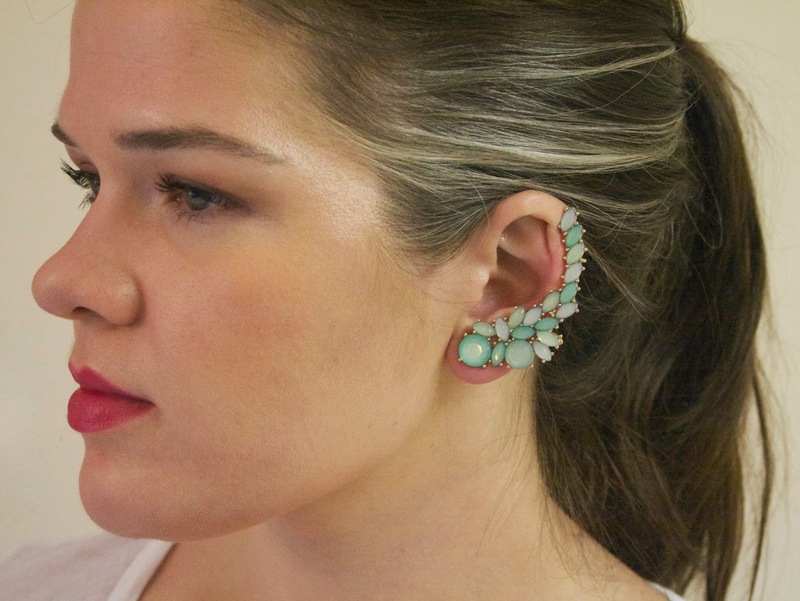 Do you have any ear cuffs? What other jewelry trends are you in to at the moment?